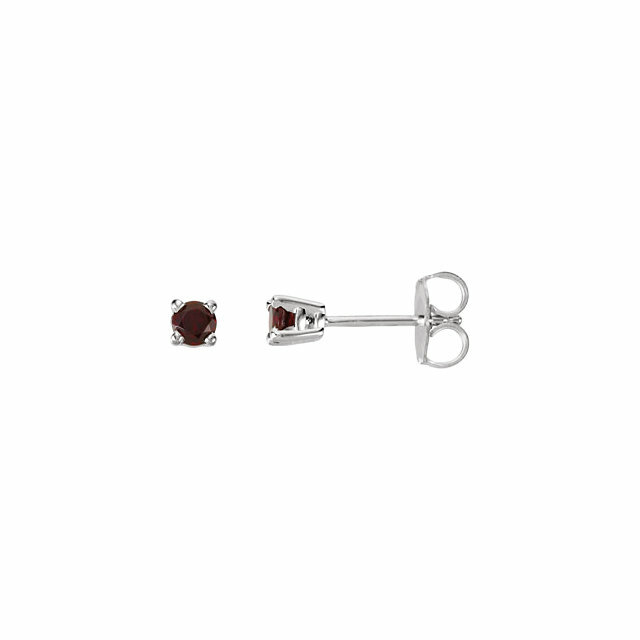 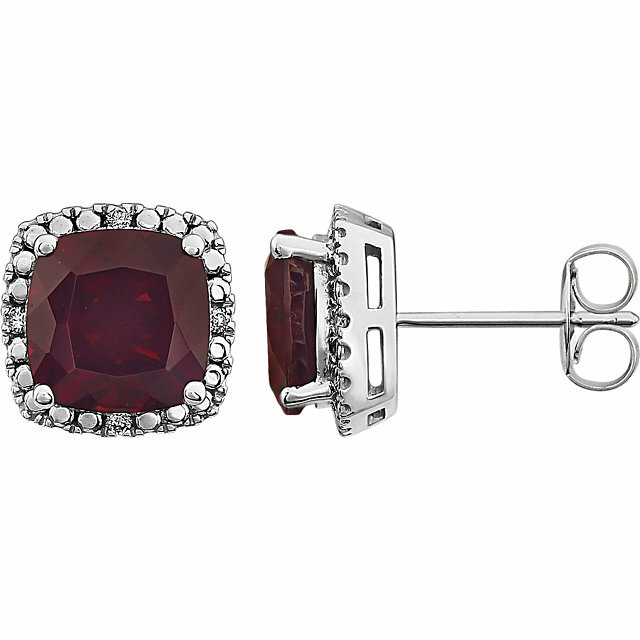 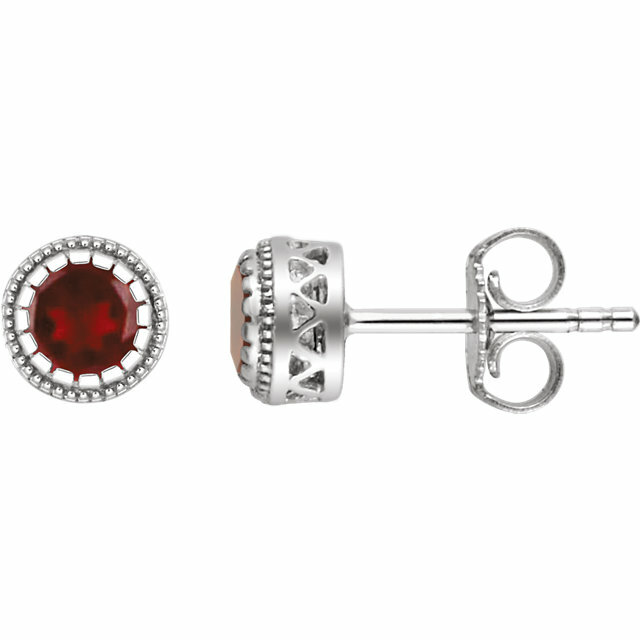 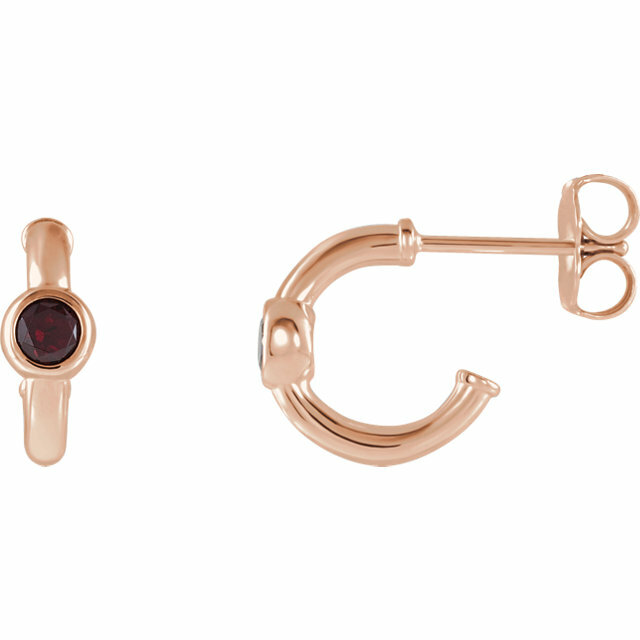 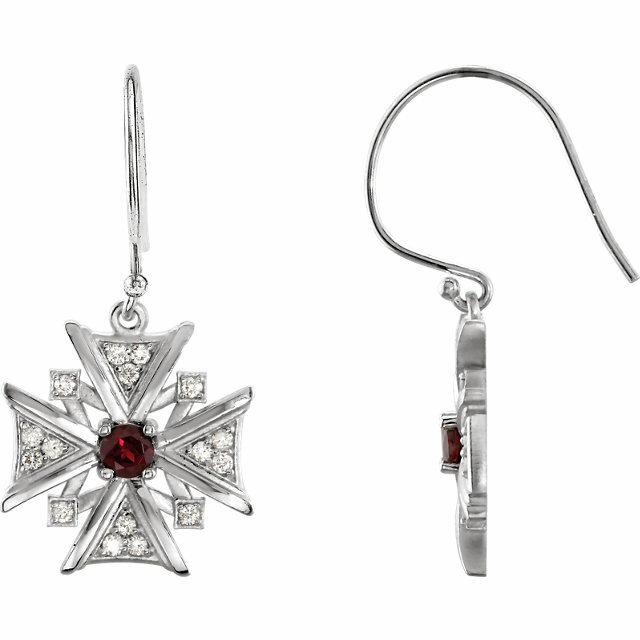 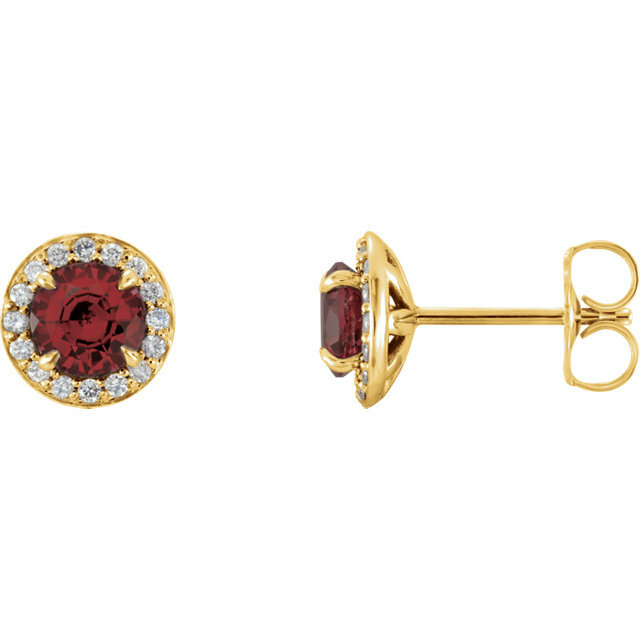 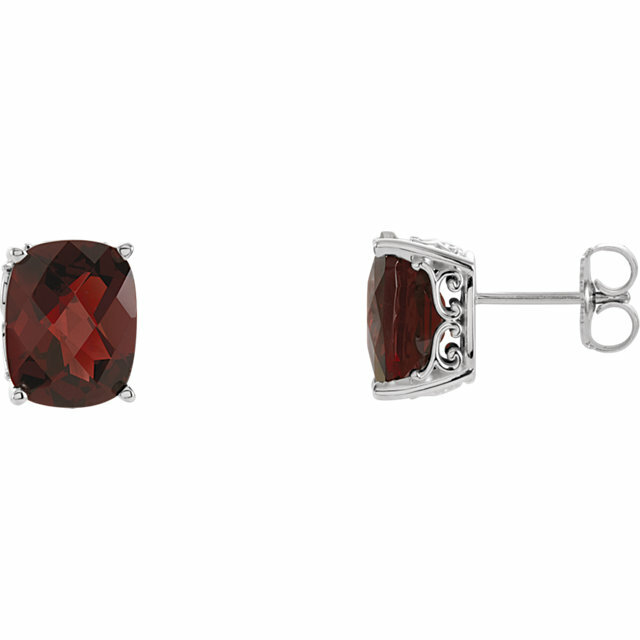 From studs to lever-back, sterling silver, yellow gold and white, and the occasional diamond accent, we have an amazing selection of Garnet gemstone earrings to choose from. 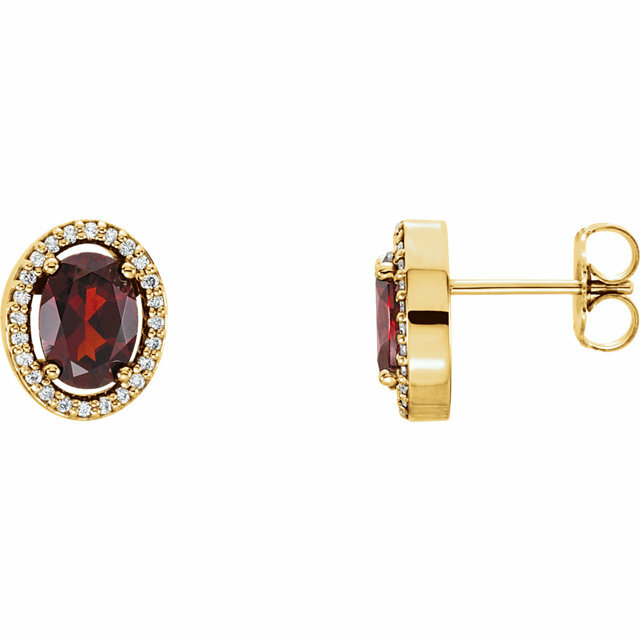 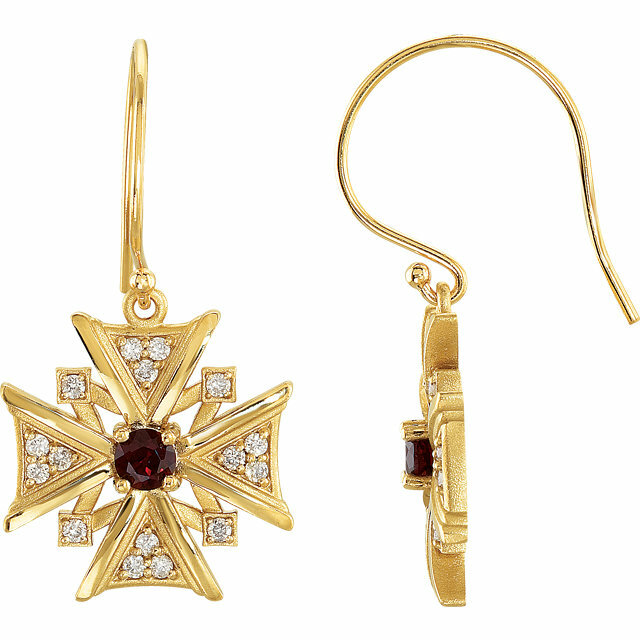 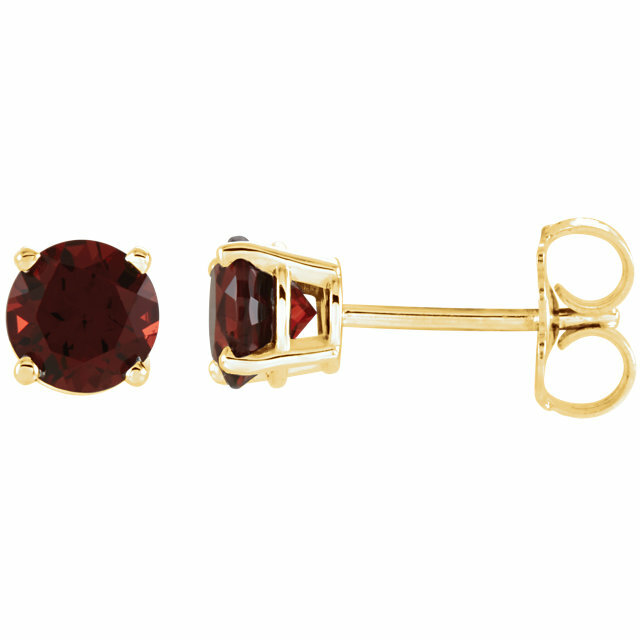 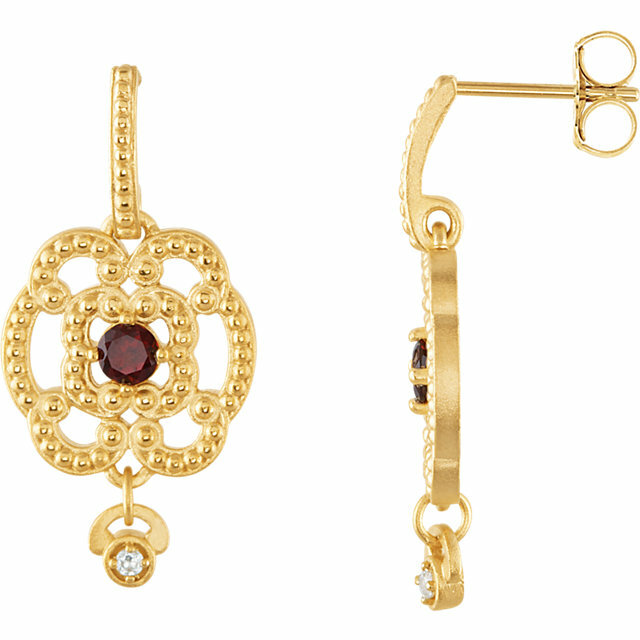 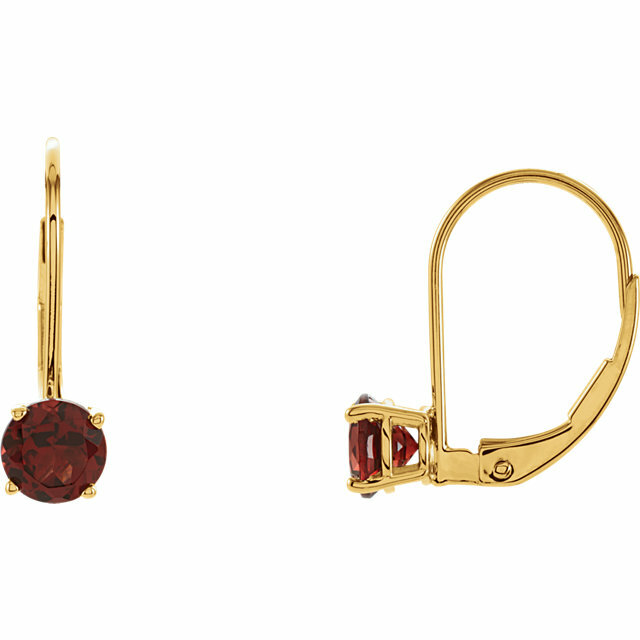 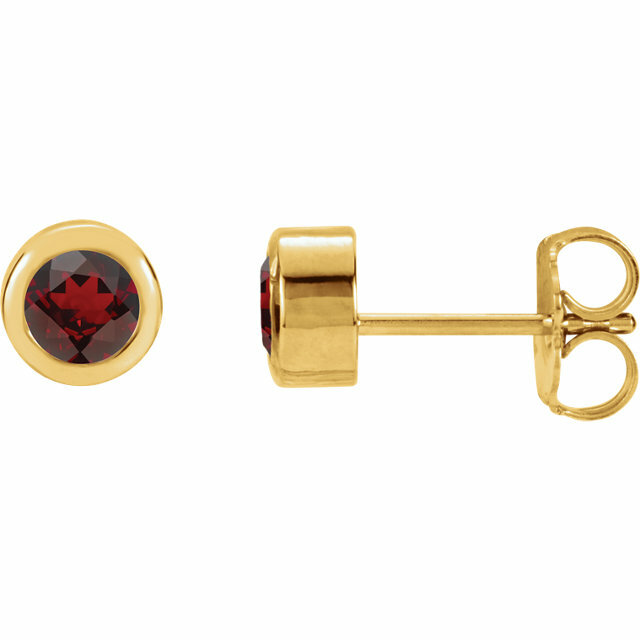 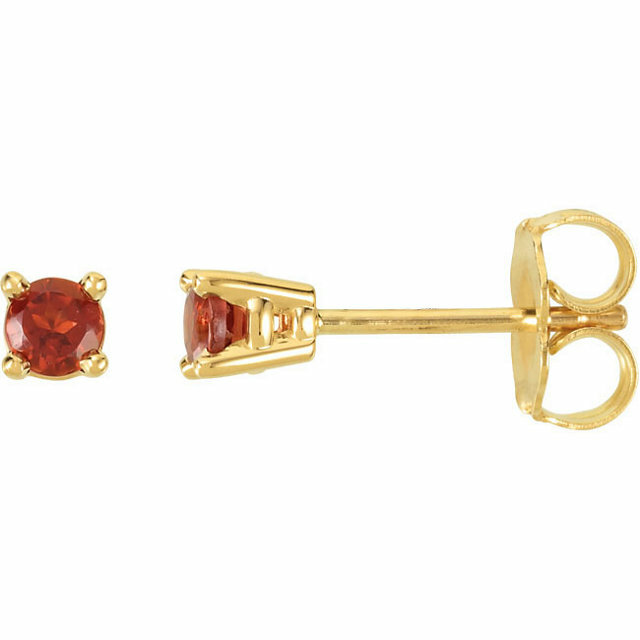 If you like the classics, we offer earrings featuring a plain faceted garnet set in yellow gold for the simple, elegant look. 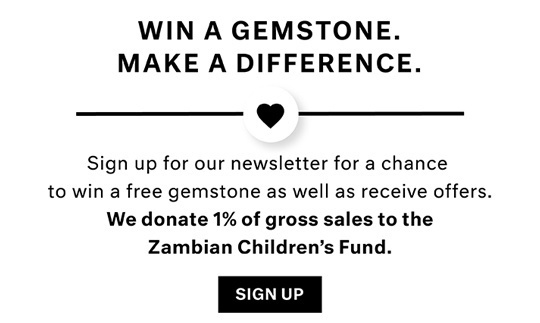 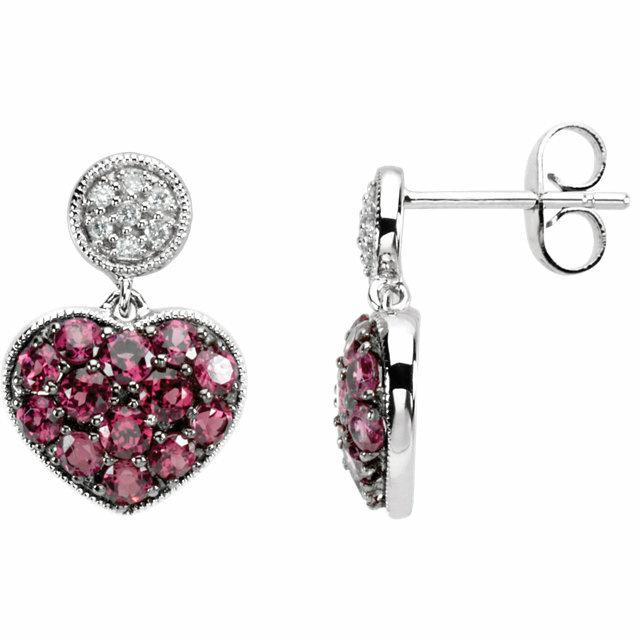 If you�re interested in something a bit funkier we have garnets mounted in ornate two-toned settings, pink Brazilian Garnets fashioned into a heart, an oval Mozambique Garnet gems surrounded by diamonds and green Tsavorite Garnet earrings with diamond accents. 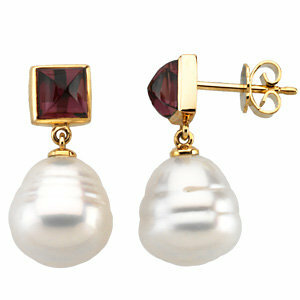 Basically if you are looking for the best Garnet earrings, you will surely find the pair of your dreams here. 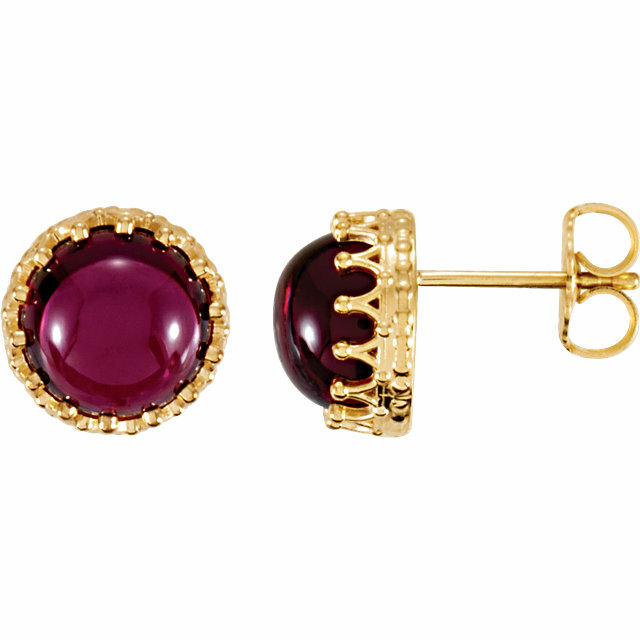 Historically, real gemstones were mainly adorned by royalty. 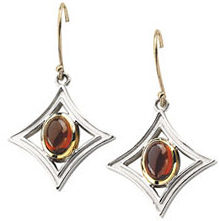 Today when anyone wears gemstone jewelry they give off an air of regality and wealth. 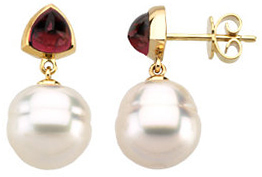 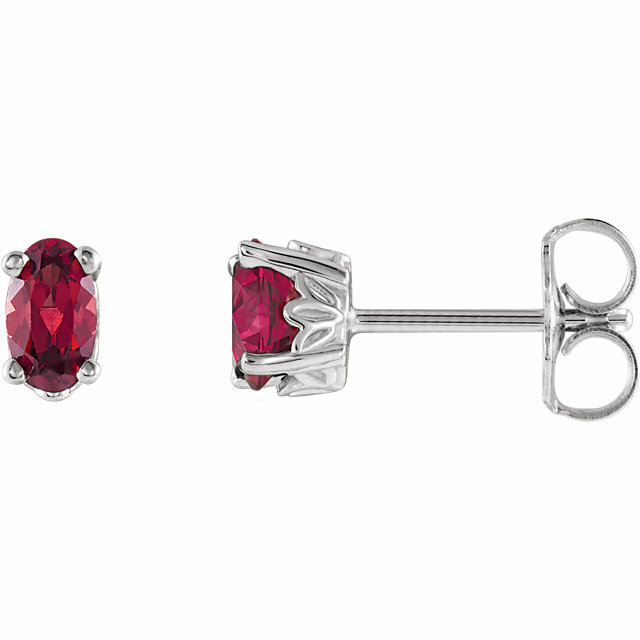 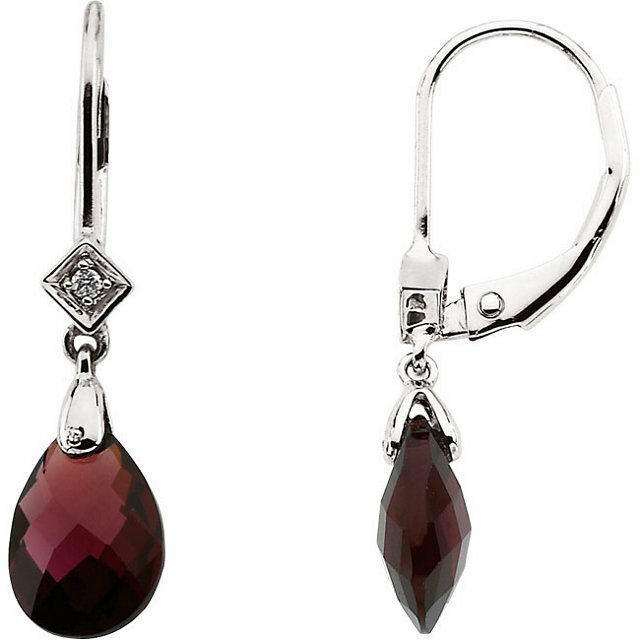 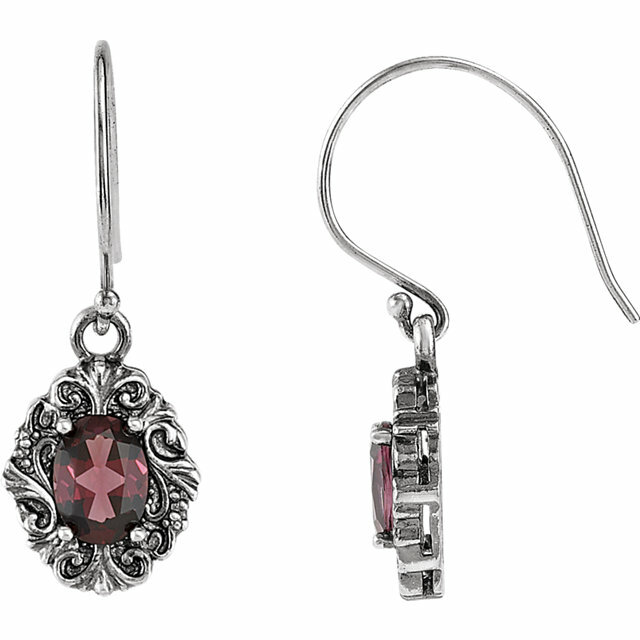 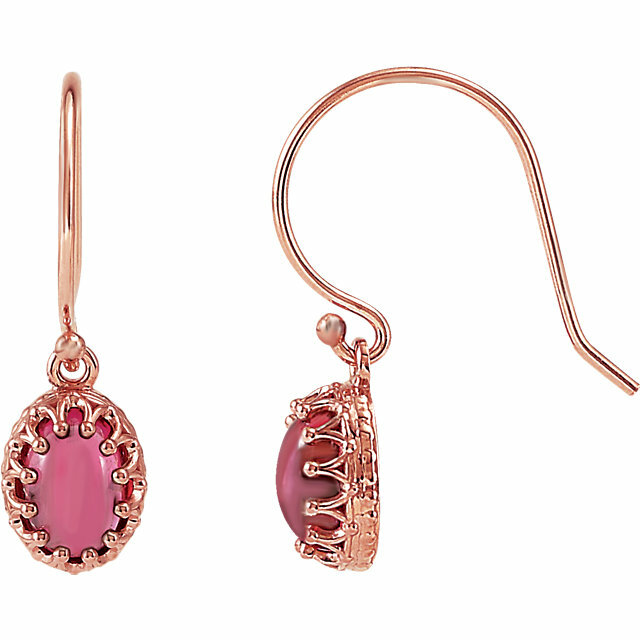 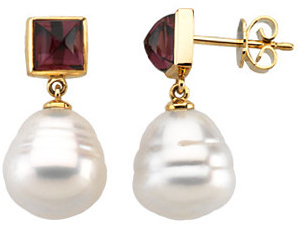 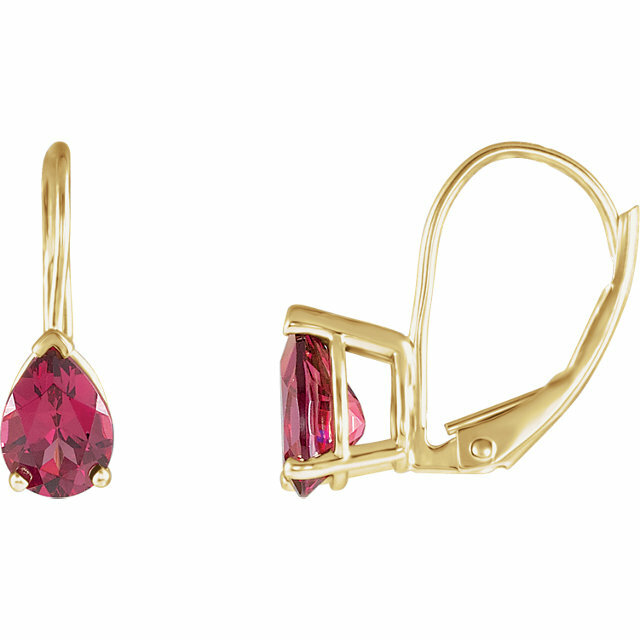 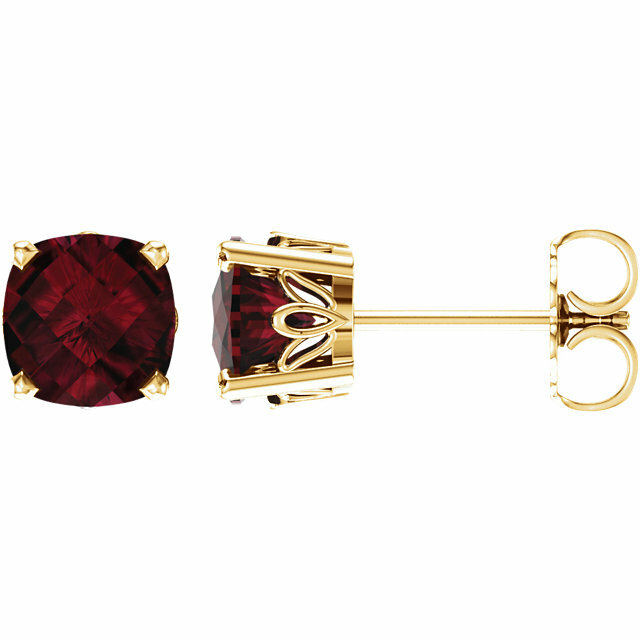 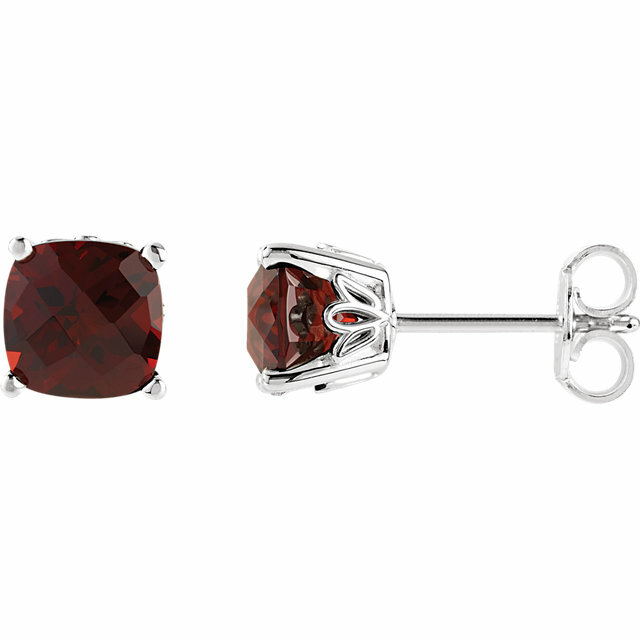 There is something unmistakably luxurious about Garnet gemstone earrings. 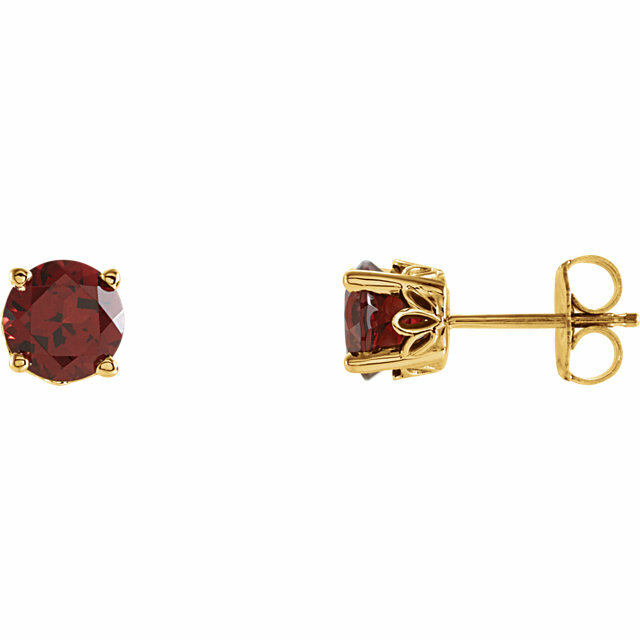 While everyone will be drooling over your �expensive� earrings, you�ll secretly know that you found them for a steal, paying only a fraction of their worth. 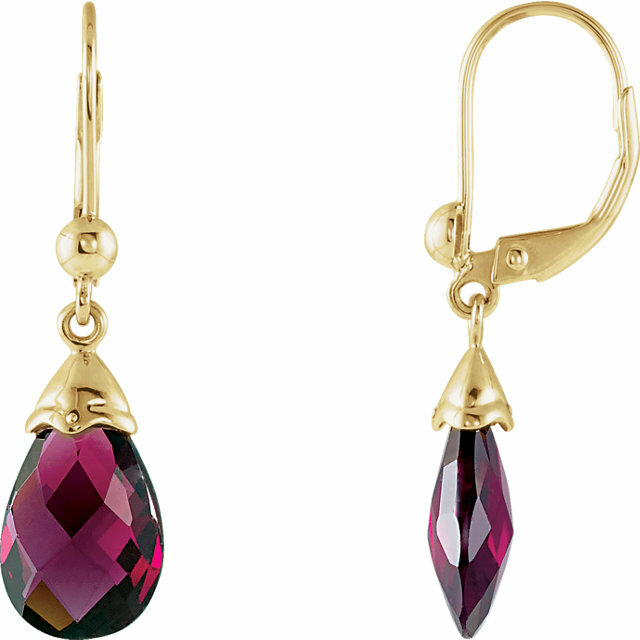 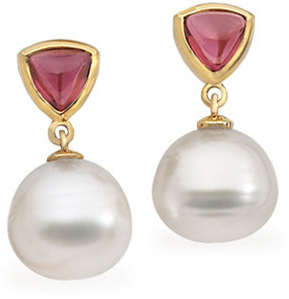 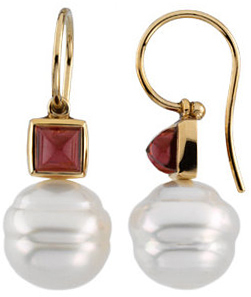 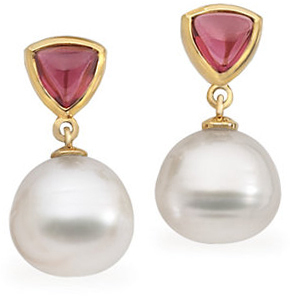 The only thing sweeter than wearing a stunning pair of Garnet gemstone earrings is buying them for a bargain price. 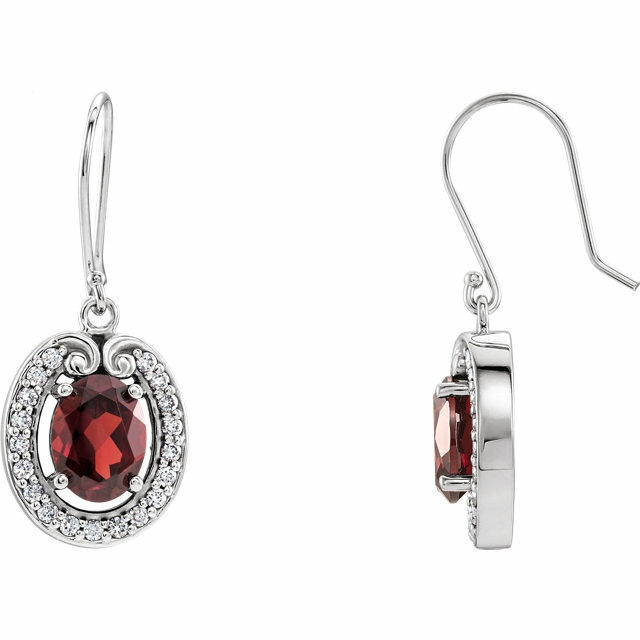 Garnet jewelry is a great gift to celebrate notable occasions. 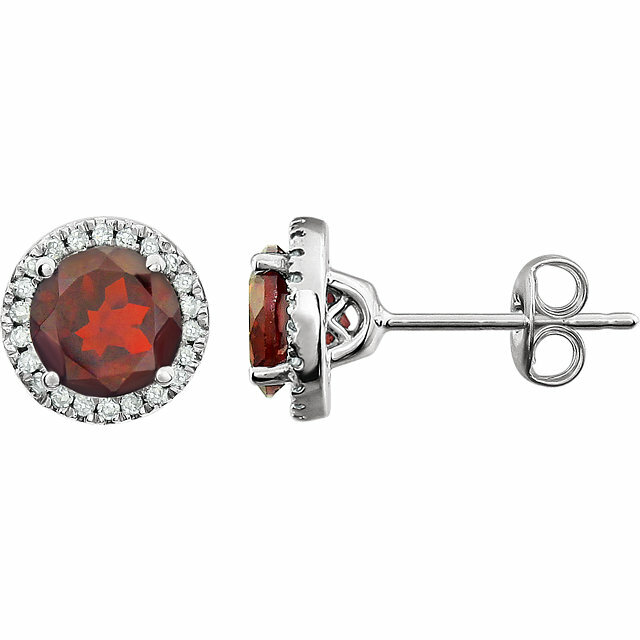 Not only is Garnet the birthstone for the month of January, but it is also the Zodiac gemstone for the sign of Leo and the gem of choice for marking the second and 16th, 19th, and 25th wedding anniversaries. 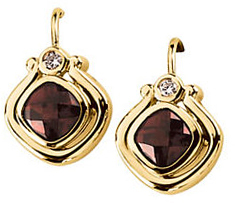 Perhaps the reason why Garnet has been traditionally given as a celebratory gift is that the deep wine-red color evokes positive energy and happy feelings. 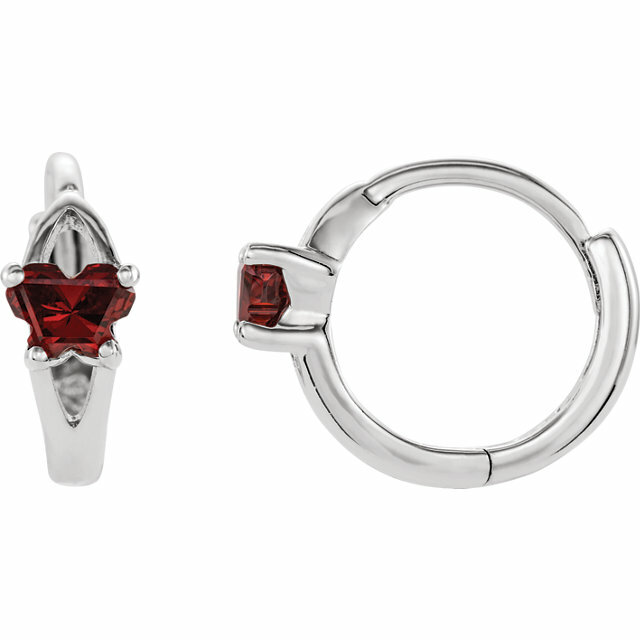 Don�t forget to check out the matching Garnet rings and pendants to put together a complete Garnet jewelry set.